Explore Brisbane's surroundings by going to Warner Bros. Movie World (in Oxenford), Sea World Theme Park (in Main Beach) and Surfer's Paradise Beach (in Surfers Paradise). There's much more to do: let little ones run wild at South Bank Parklands, admire the natural beauty at Brisbane Botanic Gardens Mt. Coot-tha, get great views at Mount Coot-tha Lookout, and tour the pleasant surroundings at Australia Zoo. 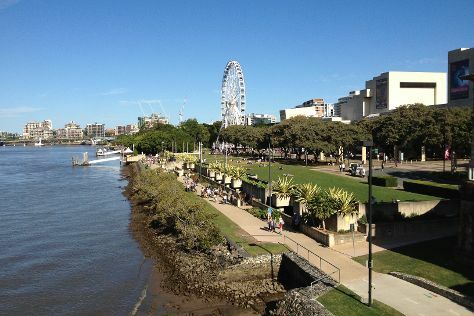 To see traveler tips, reviews, and other tourist information, read Brisbane trip planner . If you are flying in from United States, the closest major airports are Brisbane International Airport and Gold Coast Airport. In December, daily temperatures in Brisbane can reach 82°F, while at night they dip to 68°F. Wrap up your sightseeing on the 24th (Mon) early enough to travel back home.